Myself and club co-founder Jane Watkinson recently went along to Sheffield Hallam University to listen to students giving presentations of event ideas for AFC Unity. As part of their Event Management module, BA Public Relations students were asked to come up with unique and inspired plans for fundraising events that would be compatible with the club’s ethos and values. It was fantastic to see just how much time, effort and research students had invested in their presentations. 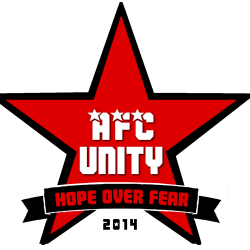 We felt that everyone had a real grasp and understanding of what AFC Unity is all about. The first group presenting to us came up with the idea of having a film screening of Bend It Like Beckham for AFC Unity players and supporters. The group felt that the selected film conveys a lot of the themes and values AFC Unity aims to promote as a club; such as empowering women, challenging stereotypes and promoting social equality. 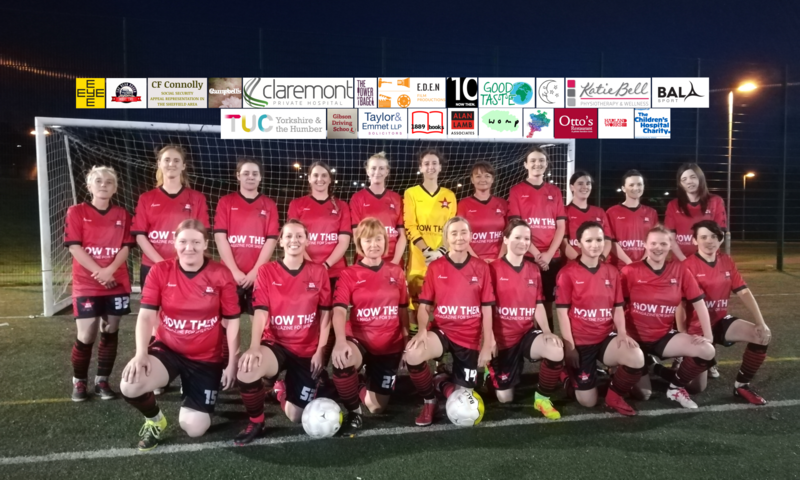 Eager to implement our football for food campaign, it was also explained that donations of food would be collected at the screening, which would then be distributed to food banks across the city via the Sheffield Food Collective. Next up was a group pitching the idea of a women’s five-a-side football tournament. 10 teams from across Sheffield would take part- including university, community, and business teams. The aim of the tournament would be to raise the profile of AFC Unity within the community, forming positive links and relations with all participating teams. The group stated that this aim would reaffirm AFC Unity’s commitment to engaging with the local community. Food donations would be collected at the tournament, and medals would be given out to create a sense of achievement for all of the players. Bubble football is a game which AFC Unity have tried out before, and was something that seemed to go down well with the players. One group presented an event idea with bubble football at its heart, promising something which would be “a little bit difference and engaging for everyone.” The group said their idea for a bubble football tournament would get people of all ages involved, and provide fun for all the family. It was suggested that AFC Unity’s club sponsors Nourish could have a stall at the event, offering healthy snacks for all spectators. Food donations would also be collected on the day. At this stage Jane and I could already tell just how much the groups had thought about implementing our club’s commitment to tackling food poverty into their event ideas. There was also evidence of careful thought from the groups about planning the events in a way which would promote our brand, core values and ethos appropriately. Something a bit different again, the next event idea was for an open mic night at The Harley pub located in central Sheffield. The group stressed the importance of the event starting mid-afternoon in order to make it family friendly and more accessible to all. Local bands would take part, offering a platform for emerging talent in Sheffield. There would be a BBQ, a stall selling AFC Unity merchandise, and food donations being collected. Again, we were delighted to hear yet another group was so keen to champion our football for food campaign at their event. The final idea to be pitched was a formal dinner party evening for AFC Unity. The group branded the event as a highlight in the social calendar for players, club officials and volunteers. They also said it would be a celebration of Unity’s work over the last year, including speeches from manager Jay Baker and other key representatives from the club. It was a privilege for Jane and I to listen to all of the ideas that the Sheffield Hallam students came up with, and they have given us a lot to go away and think about. We would like to say a big thank you to all of the students who presented to us from Isabel Ruiz Mora’s seminar class- the amount of thought you put into your work was very obvious, and we really enjoyed meeting you all. Previous PostPrevious The right to food- moving forward with our football for food campaign.